Four song demo from this new Baltimore trio, consisting of members of Cold Feet, Smoking Gun, and Wildhoney. 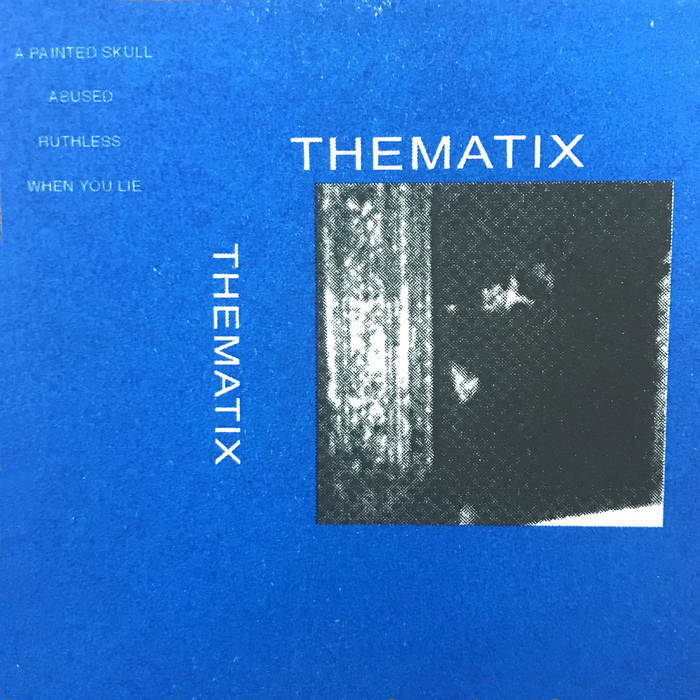 Thematix play a rugged brand of post-punk leaning rock that manages to avoid many of the generic pitfalls of the style. The key ingredient is that this is not dressed up or glammy, but delivered in a raw and unnerving way. The gritty vocals and in-the-red production really separate Thematix's sound from becoming another passable contempo-postpunk group. Like, I can tell they dig Crisis, but also involve more of a rock-leaning straightforwardness to their tracks like The Fall circa late 80s. Curious to hear more from Thematix. Numbered edition of 50 with risograph printed J-card. Self released.